The console case is designed to hold the Yamaha CS-R-10 control surface, which is part of the PM10 Rivage system. 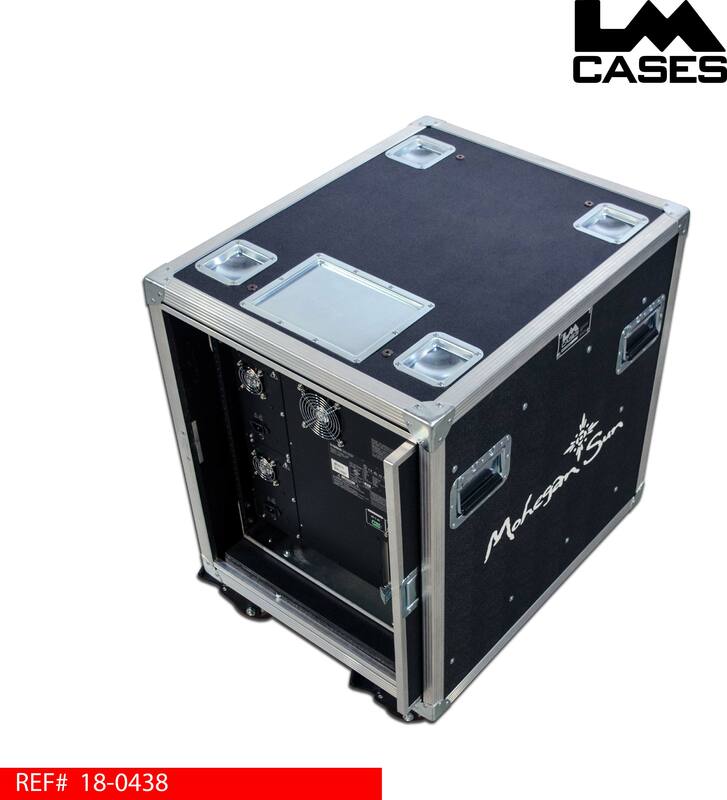 The case holds the control surface on a ½” Baltic birch internal structure that traps the surface by its feet. The internal structure supports a slide out keyboard shelf at the front and a doghouse at the back. The control surface is supported by 2” PE foam at all points. CNC cut foam blocks that match the contour of the console are provided to ensure that all parts are supported during transport. The back of the control surface is covered and supported by a custom doghouse. The doghouse is built out of ¾’ Baltic birch and features a top lid that hinges flat against the back of the doghouse. The back of the doghouse also features 2 removable vented panels that secure with HD Southco slam latches. 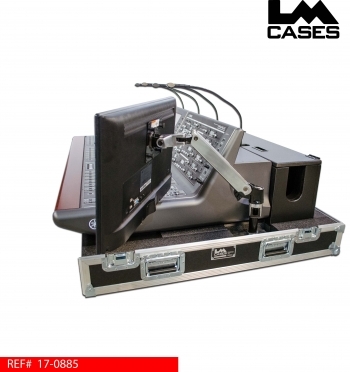 The case also features a 24” Dell touchscreen monitor installed on a fully articulating Erogotron mount arm. 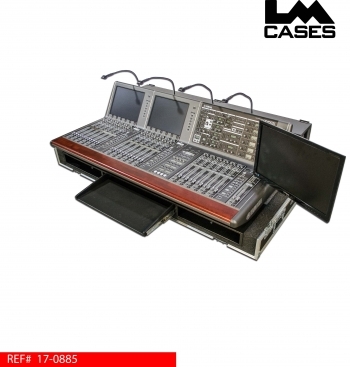 The monitor can be positioned at the end of the console at the faders or moved above the console at the top of the integrated screen. 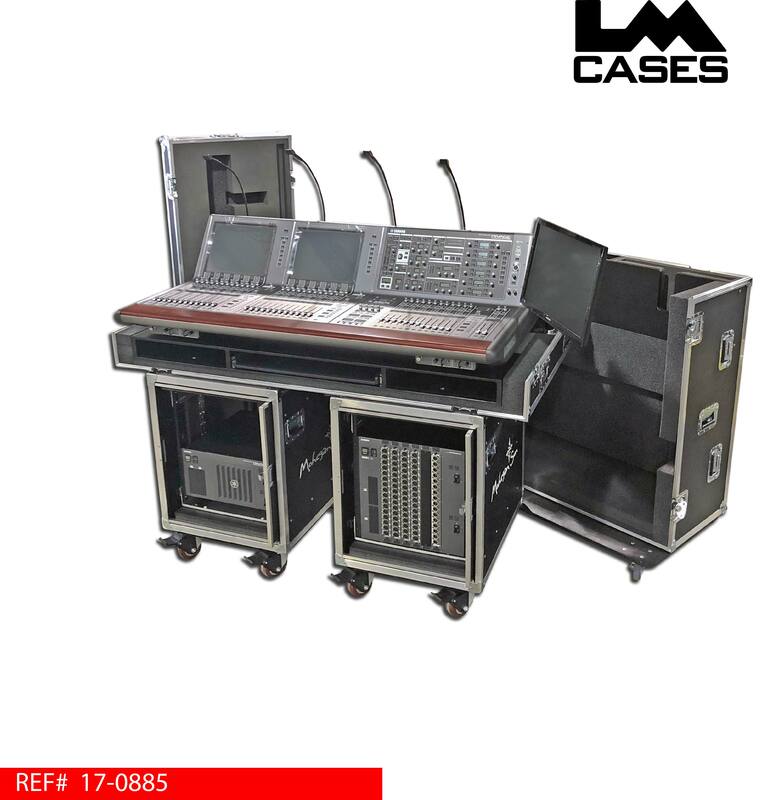 The monitor arm is installed on the right side of the case tray; however, it can be moved to either the right or the left side of the case. 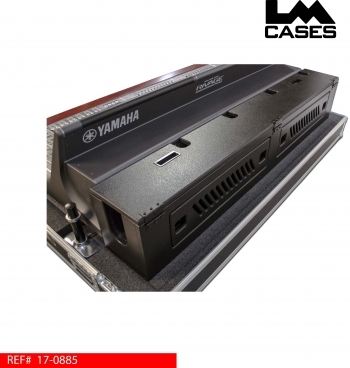 The case lid accommodates the monitor with a section of the arm attached allowing for fast set-up without the need for tools. The second portion of the monitor arm is stored in a CNC cut foam compartment next to the console. The case lid includes 2 monitor compartments should the user desire to add an additional monitor to the system. 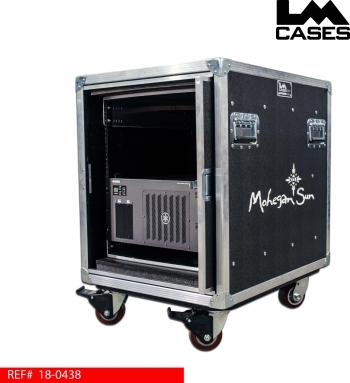 The exterior case is built from ½” plywood laminated with your choice of ABS plastics. 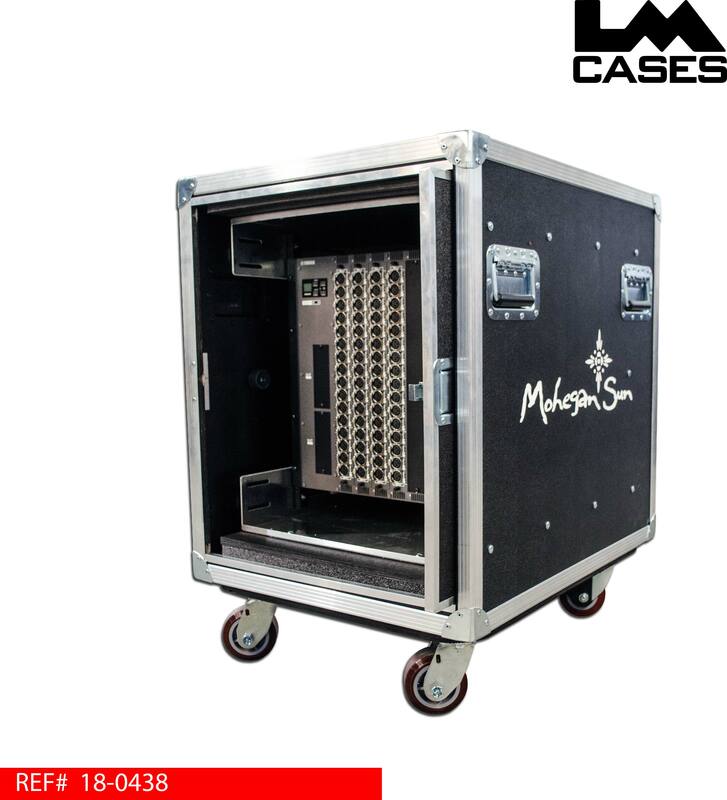 The case is a 3-piece design: the console remains in the case tray with a removable top lid and nose lid. The case features 20 deep recessed handles and rides on 4” Colson casters mounted to a full ¾” caster pad. 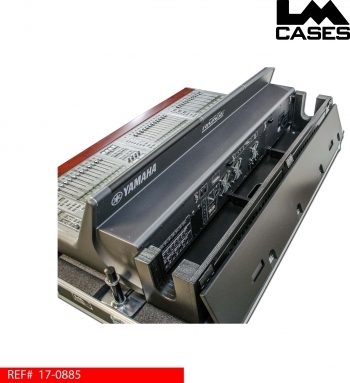 The RPio 622 and DSP-R10 are held in 12RU shock mount racks with fully adjustable inner shells. Each shell features 6 front rail mount positions, mid and rear rails are mounted in slide tracks. Front and rear rack rail are included; the rear rail can be mounted in either the mid or rear rail slide tracks. The lids are mounted on pocket door glides allowing them to be opened with a single latch and slid into the sides of the case. 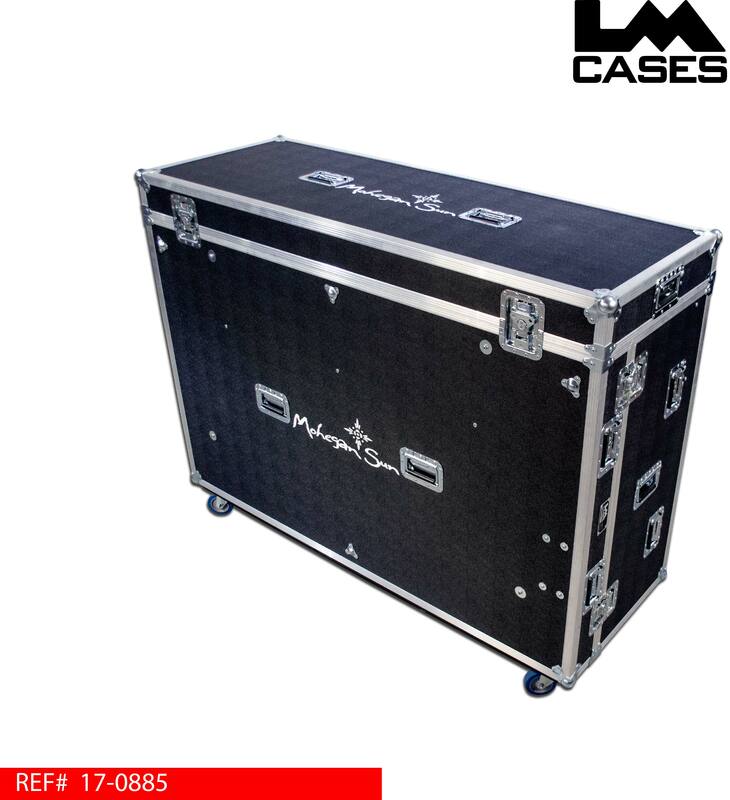 The case exterior is built from ½” plywood laminated with your choice of ABS plastics. The exterior features stacking caster wells, a recessed PAL label dish, recessed handles and 4” x 2” (2 locking) HD casters mounted on a full ¾” caster board. To purchase this case set from our online store, CLICK HERE!